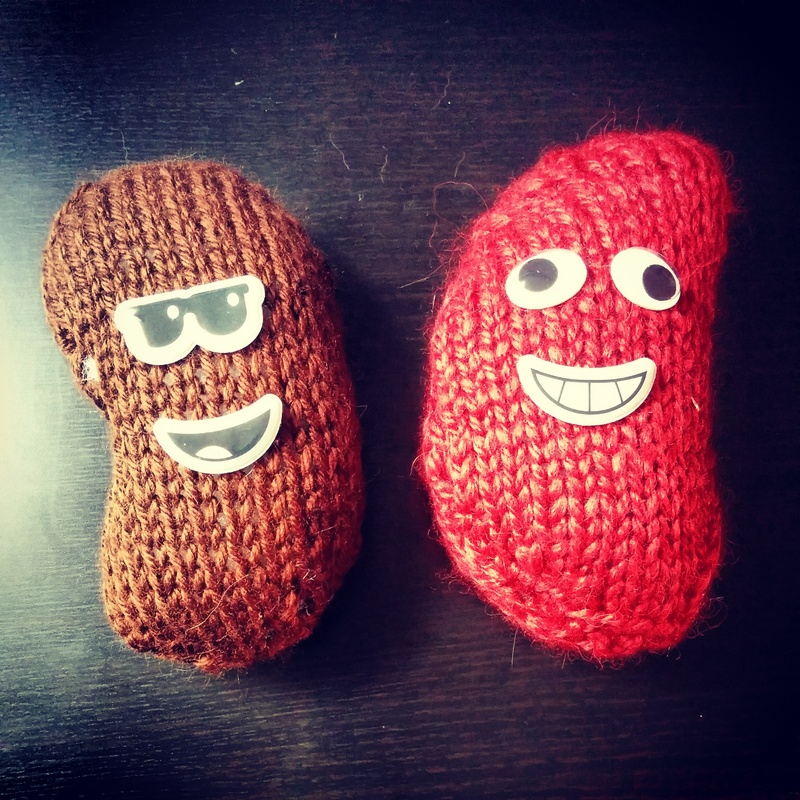 Handmade kidneys from the lovely wife. So it’s been dead on this website for a long time. Some of that is the just the normal getting behind on updating it, but for the last six months something else has been going on. This post is to explain that, and to ask for some help. UPDATE: This post has been updated with new information. It’s just some Asian dude beating up some gangsters in his underwear, cape, and a cowl. OH WAIT. 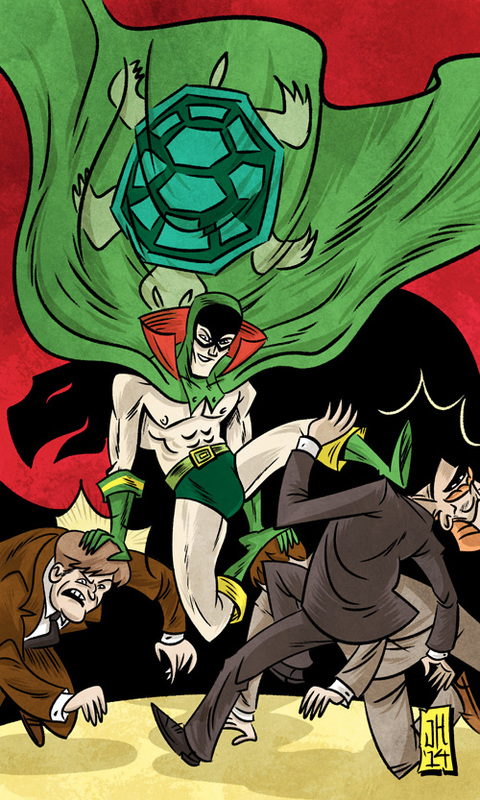 That’s the Green Turtle, from Gene Luen Yang and Sonny Liew’s The Shadow Hero! He’s the first Asian American superhero! I was honored to be part of the amazing lineup of artists asked to participate in creating fan art for The Shadow Hero. If you get the chance, you really should look at the work the other artists did. There are some really amazing pieces. I would have loved to have had The Shadow Hero around to read as a kid in the 80s. As an Asian-American [despite my totally white name, I’m half Vietnamese], there weren’t a whole lot of Asian characters that weren’t stuck being sidekicks to look up to when I was young. Outside of Bruce Lee and his movies [who was still stuck being a sidekick at one point in his career] and Dennis Dun’s Wang Chi in Big Trouble in Little China, who was there? I can’t even think of an lead Asian character in a comic book or cartoon from then. Anyhow, what are you waiting for?! The book is out! Go pick it up at Powell’s or your local bookstore or comic shop! 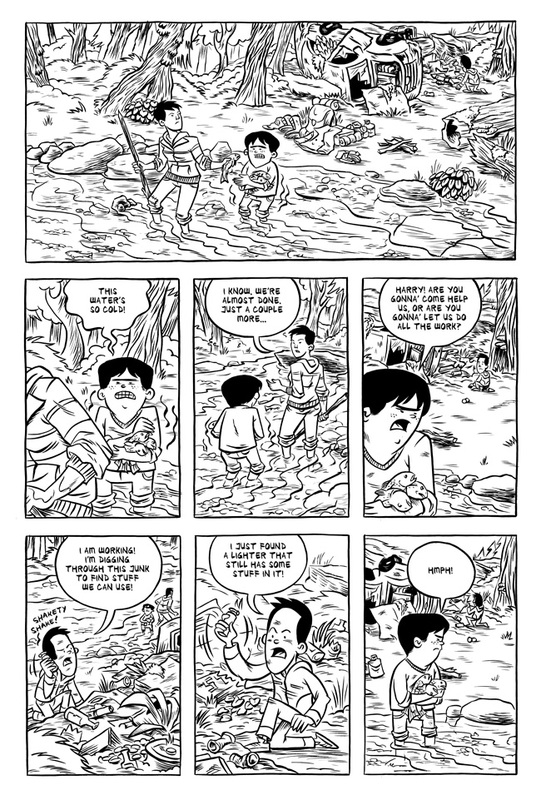 Or if you’re lucky enough to be in San Diego, go straight to the source and buy it from Gene Luen Yang at the First Second table at #1323! It’s summertime! That means that I’m teaching all sorts of comics classes at OCAC for the Art Adventures program for middle schoolers and high schoolers. Keep reading to see a rundown of the classes I’m involved in. Please spread the word if you know anyone that might be interested! 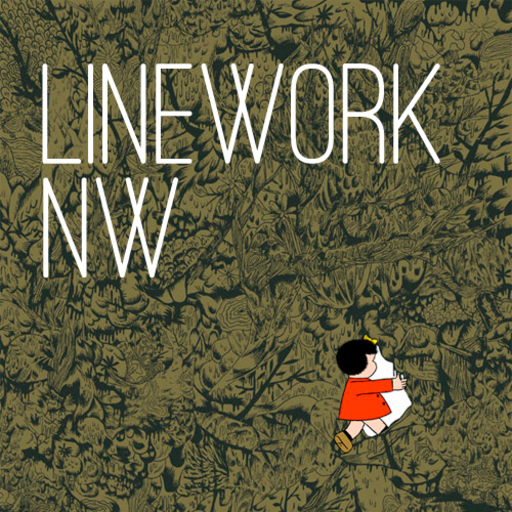 Image from the Linework NW website. It delivered on all of this. And speaking for myself, and from what I could gather from some other folks I talked to, it was exactly what so many of us needed. Hey! I’ve had my nose down getting work done for these events, I forgot to tell you guys that I am in them! There are two events that I’ll be at over the next two weeks. If you live in Portland, you should come check them out! Where: Norse Hall, 111 NE 11th, Portland, Oregon 97232. Here’s a map link. I’ll also have original art, and my backlog of mini-comics, including a new print version of the Titular Hero, a short comic MK and I did for Tor.com, and my other new mini-comic, The Littlest Littles. The following Monday, April 14th is a reading at Powell’s for the Know Your City Comics for Change! project. If you’re not familiar with it, Know Your City is a non-profit organization in town that connects people to the place they live. 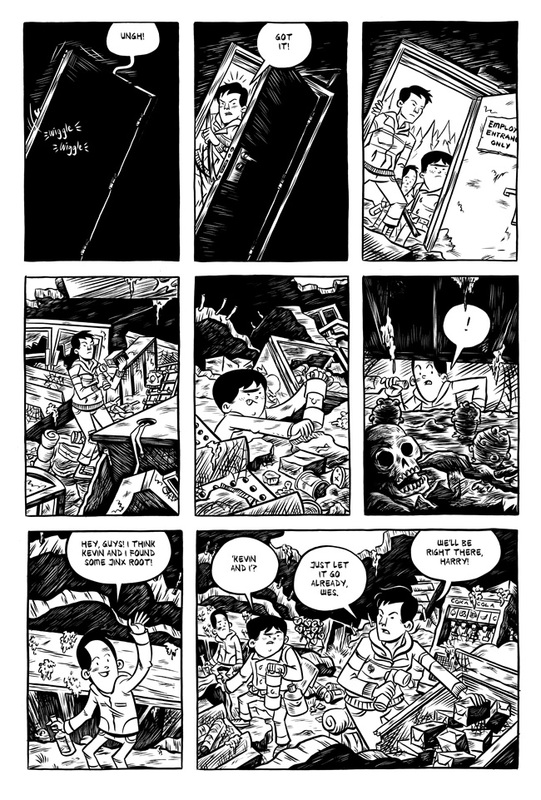 For Comics for Change!, they collected a group of local artists and writers to create biographical comics on social activists in the Portland area. I worked with the ever fantastic and amazing Douglas Wolk on a biography of Darcelle XV. Hope to see some friendly faces there! Things have been a little quiet lately as I’ve been cranking away at some comics trying to get them done in time for Linework NW on April 12th. That seems like plenty of time until I have to factor in that my residency for Writers in the Schools starts at the end of the month. 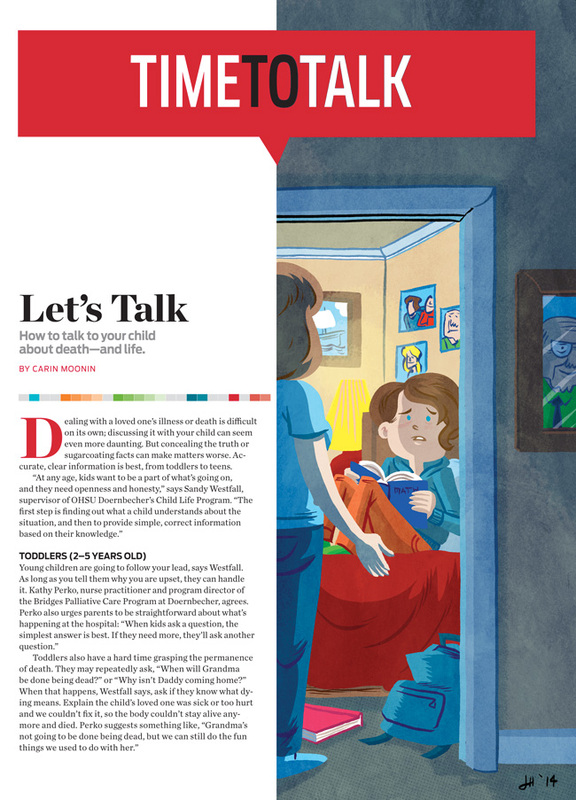 I also have a few odd illustration jobs that pop up every now and then, like this piece I did for Sagacity Media a couple of weeks ago. The AD asked that I knock the lines out because he liked some work I did for them awhile ago in which I did the same thing. I don’t know – I like the way it looks. I like how the shapes and form stick out more, but I love my linework and it gets lost here. I’m still trying to figure out some new approaches and techniques with the coloring to push my stuff to the next level, though I haven’t had much time to play around lately. Chúc mừng năm mới! 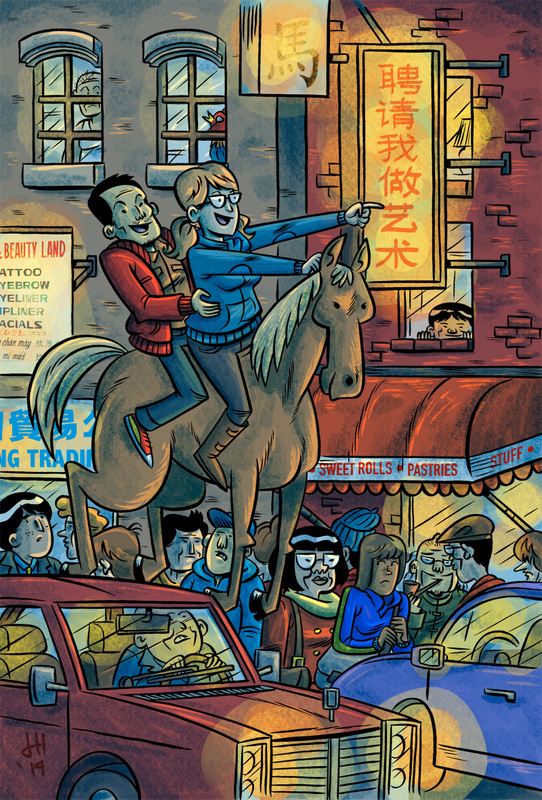 Happy Year of the Horse! My first project of the New Year is to work on a little bit of promo push, this includes my first quarter postcard! I just sent them off to the printer, and should get them sometime next week. I did a postcard for Tết last year too, but I did a bad job of continuing to crank them out after that. I want – nay, I need – to be better about self-promotion this year if I want to keep this freelancing sustainable. In an effort to branch out and try to expand my client base, I signed up for Hire an Illustrator. It seemed like a reasonably priced risk to take, and from some reviews I read online, a lot of people seemed to get a decent amount of work the first couple of weeks. It seemed like they only used the online component, but the most appealing service to me was the mailer service. 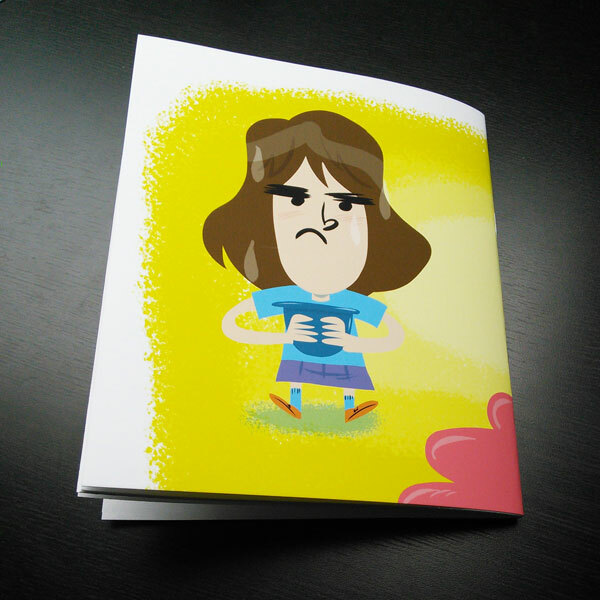 You can either print postcards up yourself and send them to them, or you can have them print them up for you. They then use those postcards and send them out on a weekly basis in their personalized mailer packets. Anyhow, I’ll keep you updated as to how it is, but it seemed like a tiny way I could expand my reach a bit and like I said, it was much less expensive of a gamble than say, the $2000 Society of Illustrators membership. 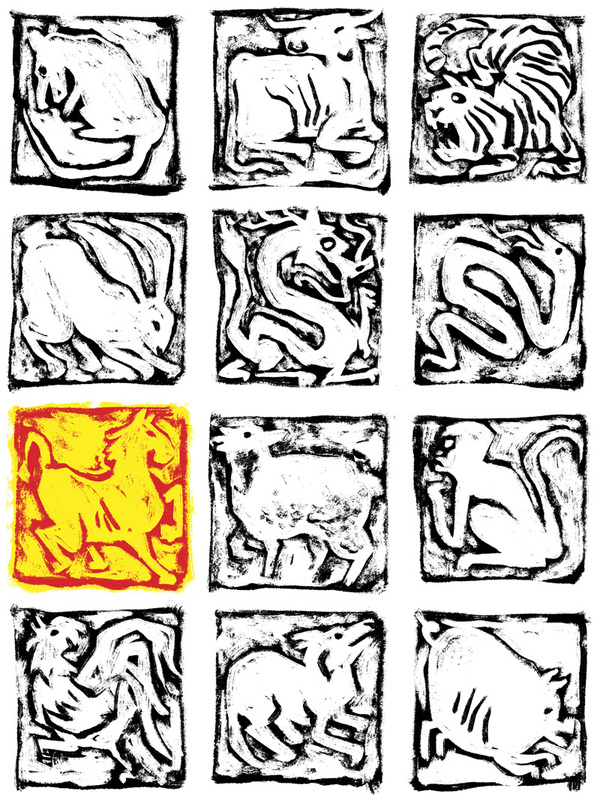 Oh, and since it’s Tết, here’s the zodiac illustrations I did for this year’s special edition of the Asian Reporter. I did them a little differently this year – completely digitally, and using a white-on-black mark making technique to just change it up. I’m really happy with how the print-like texture came out. If you’re interested in reading your horoscope for the Year of the Horse, you can check out the Asian Reporter online. Just follow that link and download the Lunar New Year section. Hope you have a wonderful Year of the Horse filled with prosperity and good fortune! Wizard World Portland This Weekend! 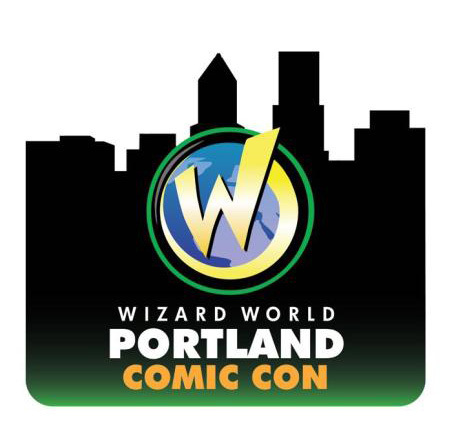 I’m going to be tabling at Wizard World Portland this weekend! I’ll be at table B71 in the artists’ area. I’ll also be on the Titans of Independent Comics panel with the likes of such actual titans as Shannon Wheeler, Mike Allred, and David Chelsea. I’m a little intimidated to be on a panel with those guys, but maybe I can give some perspective of someone who is only really starting their career and trying to keep it rolling. The other big news for the convention is that I finished another mini-comic of brand new material! 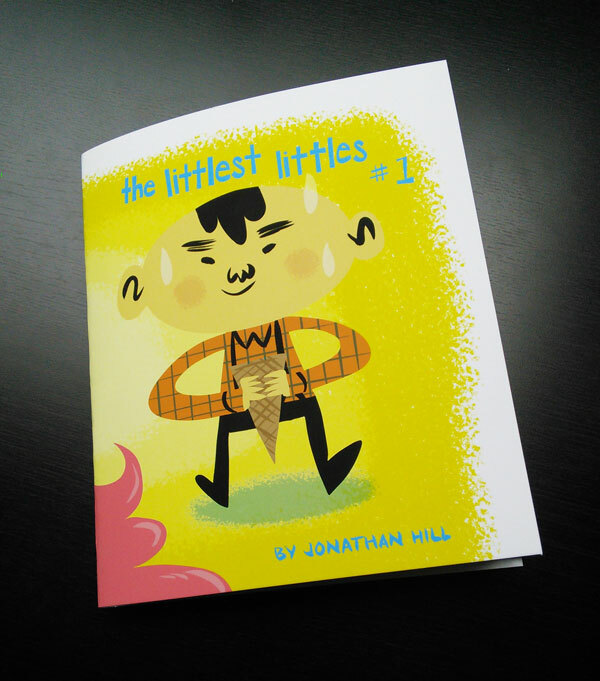 The Littlest Littles #1, 40 pages, black & white with color cover, all ages! The content is actually a sample chapter from one of the books that I’m getting ready to pitch. The convention was a good excuse for me to have a deadline to finish up the drawing. I’m super excited to have a new comic to show off! 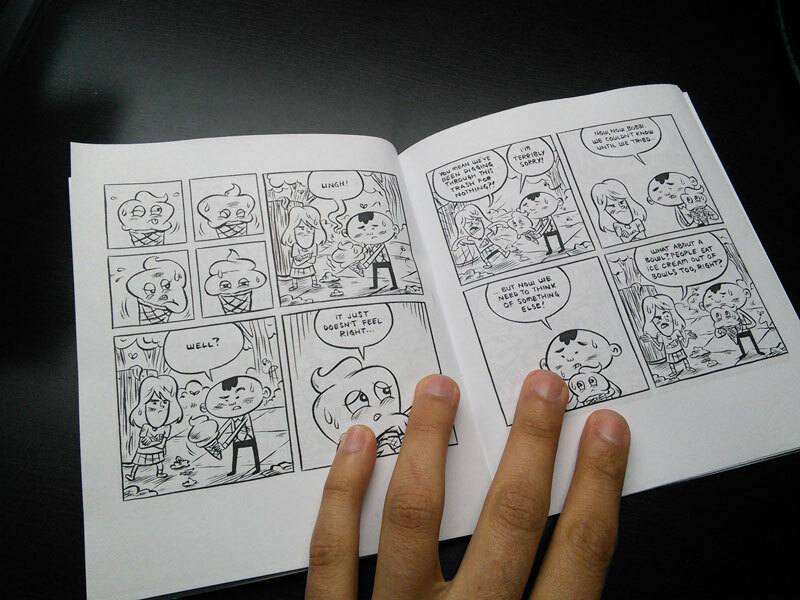 I’ll also have copies of Americus, older mini-comics, some art prints and original pages and art! Please come by, say hi and buy some stuff! 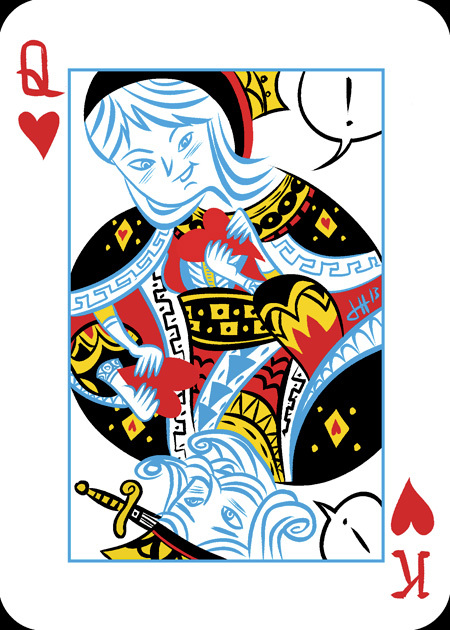 Just wanted to share a piece that I did for the Join Together show for the wedding of my good friends Meg and Mike. This is actually the second piece I did because I didn’t really feel 100% on the first one. For comparison you can see the first piece I did here. I already posted this on my Tumblr, but figured I should post it on my main blog, too. Anyhow, I have been wanting to redo it for the last month, but was having a really hard time coming up with a good concept. This Monday, like right before bed, I got this idea and went to town. I guess sometimes you just have to wait for lightning to strike. In other news, I’m in the middle of a three week teaching stint, and I spent June getting on track and starting to draw pages for The Searchers! There’s a lot on my plate, but hopefully I can share some of it after the teaching winds down. Jonathan Hill on Kidneys! Ugh.